In Iran, female landmine survivors are third-class citizens - sister-hood magazine. A Fuuse production by Deeyah Khan. According to Landmine Monitor 2015, the annual publication of the International Campaign to Ban Landmines, women and girls made up 12% of all casualties in the previous year. However that percentage varies by country. There are no official casualty figures available for Iran. I spent my childhood in Iran, during the war against Iraq. My memories of that time are filled with the flames of war: daunting alarm sounds, enemy aircraft flying over my city, the constant fear of bombs and missiles. The Iran-Iraq war was one of the longest wars of the twentieth century. It took eight years before peace finally spread its light upon our cities and our countryside. As my childhood ended, the task of rebuilding the country began. During the war, Iranian officials estimate twenty million landmines were dug into the soil of the country. After the end of the war, some clearance occurred. However, many mines still remain. Hardly a month goes by without reports of new casualties in border provinces of West Azerbaijan, Kurdistan, Kermanshah, Ilam, and Khuzestan, and also in South Khorassan and Kerman. It feels as if they have only spread their roots into the ground over the passing of the years. Many children still pay the price — due to a war which came to an end 27 years ago. Iran is yet to join the international convention outlawing antipersonnel landmines. Gashin, who was eleven-year old, lost her foot in a mine explosion about three years ago. Ala, who was seven years old, lost the vision in one of her eyes forever. I have always been obsessed with these two girls, asking myself: what would their futures have been, if it were not for the legacy of a war that ended long before they were born? In a country where there are discriminatory laws against women, which effectively make them second-class citizens, women with disabilities are one step lower down, becoming third-class citizens. Culture, customs and traditions all have significant effects on women who live in rural areas. Occasionally, within some of the rural and border cities, they encounter difficulties in taking part in Mine Risk Education programmes, because women are not allowed to attend classes for cultural reasons. Generally, there are two ways in which land mines impact upon women. The first is where women are directly injured by these deadly weapons. Women and girls usually become physically disabled, or suffer from damaged vital organs, such as their eyes. The second is where the children, spouse or one of their family members, are injured by landmines. Where a woman or girl is injured, her life-chances change dramatically. For girls below the age of marriage, their disability usually causes them to lose the chance of getting married forever. The majority of these women will never get married. Being a woman in a rural and nomadic community has particular characteristics. In these communities, women are directly involved in providing for their family through activities such as agriculture and crafts. When they lose their mobility or vision, they become unable to work, and in need of support and care. When a member of the community permanently loses her ability to contribute to the economic life of the family, her expected life path also changes. Her destiny becomes one of solitude and isolation. The other major problem faced by women with disabilities is a culture of lack of sensitivity towards people with disabilities within Iranian society. This results in a lack of humane treatment toward the disabled, as well as the lack of essential facilities. This causes problems for them in public. Disabled women are often isolated from society and unable to participate in social life. Staying at home may be more tolerable than suffering from the dirty looks they receive outside the house. In some cases, families are ashamed of having disabled girls and women in their family, and are not even willing to pursue their cases. There was a case of mine detonating and causing a little girl who lost her limb while grazing cattle. A cow was also killed. Her father sought compensation for the loss of his cow. He did not even think about the little girl’s rights. The second impact on women occurs when the breadwinner of a rural and tribal family is unable to work due to a disability caused by land mines. Here, the women of the family may have to take charge of all the heavy responsibilities of farming or herding. Such women may also take on alternative means of supporting their families, such as through hairdressing or sewing. They face enormous social pressure because these forms of paid employment are not considered to be in accordance with social norms in their villages. For men who are being supported by women, their earnings become a source of a shame. Some resent the fact that their wives are the breadwinners, which can often result in domestic violence. Despite the fact that many Iranian women are directly struggling with major effects caused by landmines, they have never been given a major role in mine action. In Iran, landmine clearing remains a male preserve. 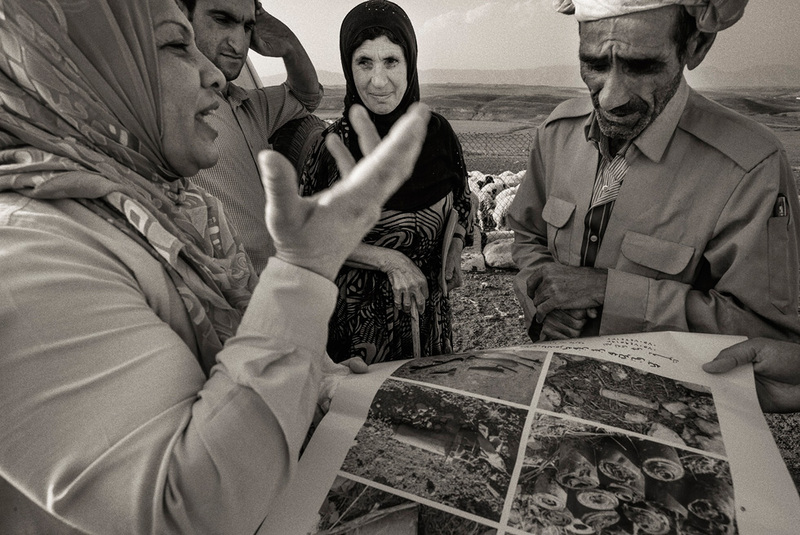 Women’s presence is limited to Mine Risk Education programmes, where they play a significant role in reducing the injuries caused by mines in Iran. The presence of women within mine action would undoubtedly cause a rebalancing of this supposedly ‘masculine’ job, paving the way to eliminating mines completely. It is time to hear the voices of women victims of mines and cry along with them for their combined oppressions. We should not allow the fate of girls like Gashin and Ala, and the many other female victims of landmines, to be crushed under the feet of our patriarchal culture. Empowering girls and women like Gashin and Ala will restore a new sense of life to a landscape which continues to bear the scars of a decades old war. Leila Alikarami is an Iranian lawyer and human rights advocate who has represented dozens of human rights defenders in Iran's Revolution courts. 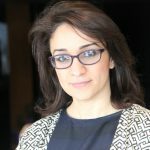 She was an active member of Iran's One Million Signatures campaign, which collects signatures in support of changing discriminatory laws against women. In 2009 she accepted the RAW in War Anna Politkovskaya Award on behalf of the women of Iran and the campaign. She is a Sakharov Fellow and holds a PhD from SOAS, University of London.